The Eye Institute - Welcome to The Eye Institute Blog! Home » Blog » Welcome to The Eye Institute Blog! Welcome to The Eye Institute Blog! The hub for all information for The Eye Institute, and anything and everything related to ophthalmology and eye care. 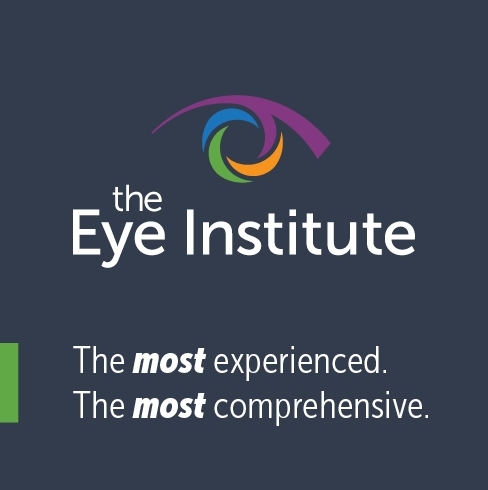 As you can see, The Eye Institute has gotten a complete makeover – from logo to website and everything in between. But don’t worry, there is no change in our services offered. We still provide the same high-quality, consistent care you expect and deserve. Why the new look? We have the most certified and qualified doctors in the area, and we want a brand to portray that. Most people don’t know which doctors are part of The Eye Institute, but with our new branding, you will be able to easily identify an Eye Institute provider. Take a look around and check out our new features. You can learn about the services we offer, accepted insurance plans and also get to know our providers in more detail. You can also click on “My Online Clinic” where you are able to connect with us 24 hours a day, 7 days a week for bill pay, patient registration, chart review, patient education and much more! Be sure to check back here for the latest news and updates! You can also find this information on our Facebook page – facebook.com/TheEyeInstituteTulsa.